Departure to Syracuse. The visit begins with the Neapolis archaeological park, the most characteristic part of the old Greek city (Greek theatre, Latomia del Paradiso, Ear of Dionysius, Roman amphitheatre). Afterwards, the excursion heads towards Ortigia well-known for the ruins of the earliest Greek constructions. 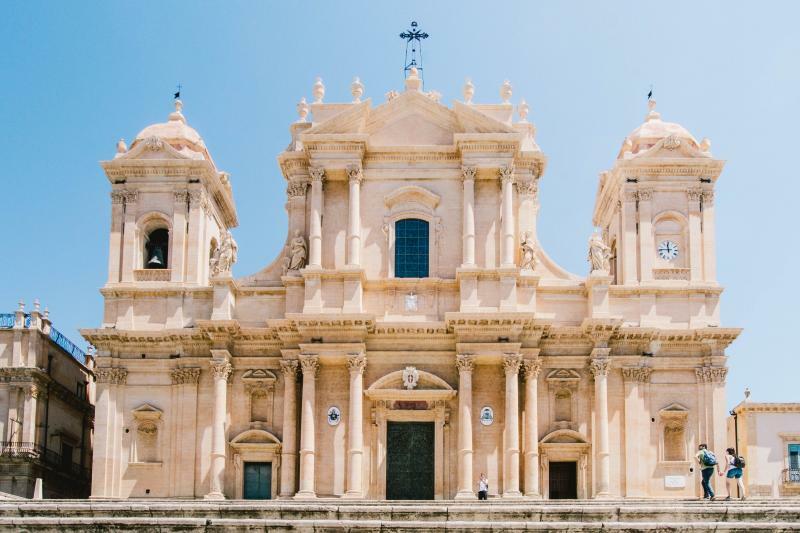 The greatest and most singular monument of Ortigia is the cathedral of Syracuse which rises on the highest point of the peninsula. One of the most famous spots in Ortigia is the Fountain of Arethusa, a freshwater spring forming a pool with papyrus plants, situated on a wide terrace overlooking the sea. Afterwards, visit of the ancient baroque town: Noto, one of the most important in Sicily. Return to Taormina at around 6 pm.